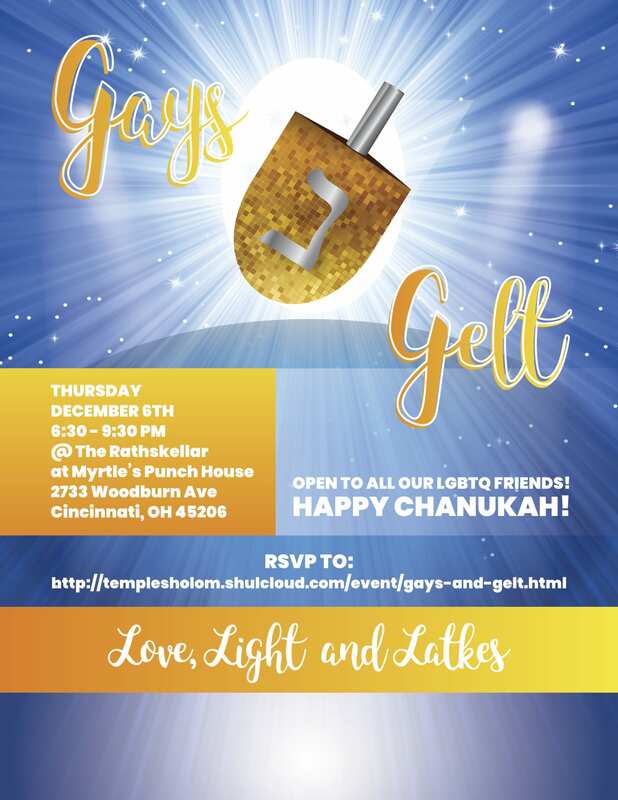 Gays and Gelt: Love Light and Latkes! Come celebrate Chanukah at The Rathskellar. Open to all our LGBQ friends to come have latkes, and jelly donuts to celebrate the season of light with love and latkes! The Rathskellar is in the basement of Molly Wellmann’s Myrtle’s Punch House located on Woodburn Ave.